[Announcements] Redmi Go is here: Powered by Android Go! [Other] Any rooted or twrp redmi go here?? 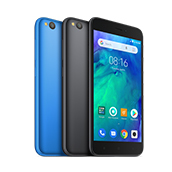 [Discussion] Redmi Go, powered by Snapdragon™ 425. What’s special about it? [Discussion] Redmi Go, What’s the battery performance? [Review & Unboxing] [Reviews] Redmi Go Review: Go the Extra Mile! [Discussion] Andriod Go to Miui? [Other] Redmi Go Wallpapers Inside, Download Now! [Announcements] [Contest] What makes you “Go Smart and Do More” with Redmi Go? [Announcements] Xiaomi Releases Redmi Go Smartphone at PHP 3,990! [Discussion] Redmi Go: Go Big, Do More when you have 16:9 widescreen, why should you care?